Day 43, 14:21 – Cagnotte | Starsway - The unforgettable walk! 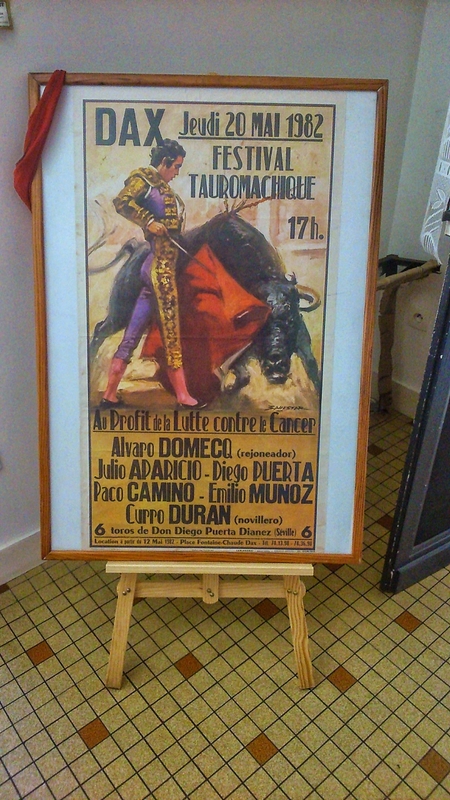 A bullfight poster exposed in a Saint Jaques bar in Cagnotte, signs that I was slowly approaching Basque territory and Spain. This day, I could see the Pyrenees in the distance, for the first time. For most people this doesn’t mean anything but for me, coming from so far, with all this pain and suffering, it is a milestone. And reflecting all the difficulties I faced on this way, I now understand that this walk could have ended every minute and that it’s a gift that, for now, I am allowed to continue. And I am greatful for that.